Dr. Richie has advised us that there has been an increase in failure rates in random Medicare pre-payment audits in Region D for all custom AFO devices for codes L-1940 to L-1970. The below is the required documentation you will need. 2. Copy of Noridian DME Justification D dated August 2013, pages 101-103. It is important to note that the audits are for pre-payments, no penalties or fines/punishments for providers, the claims were just denied. If you need help or have questions, please contact us at 1-888-523-1600 or email us at contact@comfortfitlabs.com. We will be sending all of our Richie Brace accounts a copy of the All in One Medication Necessity Document and the Copy of Noridian DME Justification D in the mail. We have extended our summer Walker Sale through October 31st. Save 10% on our Premium Walker and our Premium Air Walker. Don't forget about our night splints - always free shipping when you buy 10 or more. Visit our website for more detailed product information and if you have any questions call Customer Service at 1-888-523-1600. We have another shipping option available to you for your custom foot orthotic orders. In addition to our current FedEx ground service, we now offer pre-paid USPS labels that can be printed from our website or shipped to your office if you call and request them through Customer Service. With USPS you can still track all of your packages. We have tested the service and found it to be as fast as our other carriers. Additionally, this option can be easier for your office staff since they can give outgoing packages to your mail carrier instead of requesting a pickup. If you do not currently have a login/password for our order status program on our website, please contact Randee at 1-800-773-2699. Make friends with your postal carrier! ComfortFit Orthotic Labs, Inc. is now a member of the APMSA Corporate Advisory Board. Visit our website for product pictures and detailed product information. You can download the prescription/order form from our website too. Hiker, WorkForce, Dress and Diabetic are the four styles. TORCH Walker(Total Contact Orthotic Restraining Custom Hybrid) combines the support and positioning of a traditional AFO with the accommodation and functionality of custom molded footwear. A triple density custom insole and a rocker bottom with SACH heel are standard features. The TORCH offers a multitude of diagnosis specific modifications and options to accommodate any complex lower extremity condition. 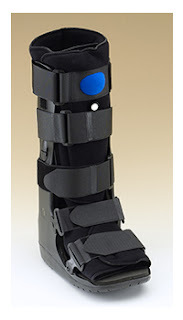 The TORCH is fully adjustable for fluctuating edema and the Velcro/lace closure creates a perfect fit every time. This 100% custom device can accommodate any situation and is a superior alternative to the CROW Walker. Increased patient compliance translates into better outcomes. Please see our website for detailed coding descriptions. If the patient is diabetic and qualifies A5501 and A5503 can be used for billing. NOT ALL ABOVE CODES APPLY TO ALL TORCH WALKERS ORDERED. BILL FOR WHAT YOU HAVE SUPPLIED. We have more improvements coming over the next few months that will make doing business with us even easier. Thank you for your business. We appreciate all of our customers and strive to provide the best customer service in the industry. Finally. Finally. Finally. 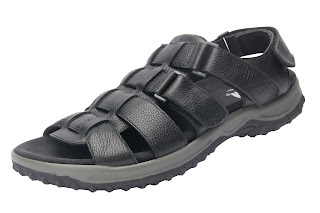 Drew Shoes has released two NEW men's sandals with removable footbed for spring/summer 2013. 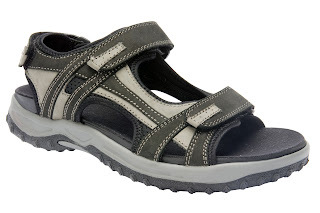 As with our women's line of sandals, we offer two options for the men's sandals. 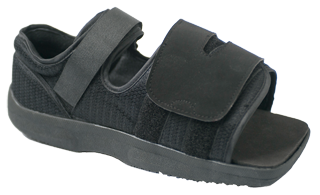 Option 1 is sandal only with standard insole(ULTRON footbed) and Option 2 is a sandal with a true custom foot orthotic. 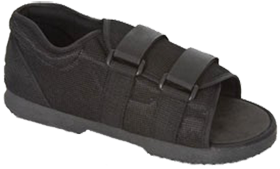 Let's face it, footwear compliance is hard to enforce with patient's so why not offer them an option they will actually wear during the warmer months and continue their orthotic therapy. All of our sandals are on our website with no pricing. You can also download order forms and sell sheets from our website. Please contact us if you have any questions. The two new men's sandals from Drew are available now!